Whilst once it was the preserve of elite athletes including professional cyclists or swimmers, it seems that more men are plucking up the courage to achieve a hair-free body as new research from Mintel finds half (50%) of all Brits admit there is more pressure nowadays for men to remove or groom body hair. Indeed, for today’s modern man, hair removal has extended past a simple shave of the face. 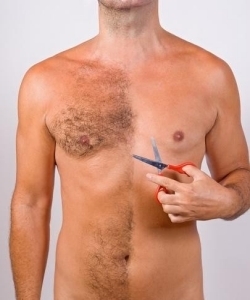 Over the last 12 months, some 55% of men say they have removed hair from their head, this is followed by the pubic region at 29%, chest at 13%, underarms at 12%, back at 9%, bottom at 6%, arms at 5%, legs at 4% and feet 2%. Just 30% of men say they have not removed hair from their body in the last year. Additionally, Mintel’s research highlights how Britain’s men are giving Cara a run for her money, with a quarter (25%) admitting to removing hair from their eyebrows. Overall, one in five (19%) men claim they feel expected to remove hair from their torso, while around the same number (18%) say they feel the pressure to remove hair from their underarms and 13% from their legs. Furthermore, it is younger men in particular who are feeling the pressure to achieve a hair free body, with some six in ten (58%) 16-24-year-old men agreeing they feel pressure to remove or groom body hair, compared to 22% of over-65s. And while 42% of Brits believe it is fashionable for men to have beards, almost the same number (39%) say they feel pressure from others to keep their facial hair neat and tidy. As many as six in ten (59%) consumers believe it looks unprofessional for men to have an ungroomed face in the workplace. “The impact of fashion on the shaving and hair removal market can also not be ignored with celebrities, such as Ryan Gosling, sporting impeccably groomed beards.” Charlotte continues. In terms of sales, whilst the shaving and hair removal market was impacted by price promotions and fashion leading away from a clean shave in 2013, it has returned to growth with sales of an estimated £624 million in 2014, up 2.1% from sales in 2013 which reached £611 million. “Innovation in the shaving and hair removal market continues to focus on male-oriented products, with a particular trend towards male body hair removal and a return to tradition-inspired shaving and facial hair grooming.” Charlotte continues. Furthermore, it is not just men who are feeling the pressure to remove hair, almost three quarters (73%) of all UK consumers believe there is more pressure nowadays for women to remove body hair. Indeed, just 8% of women have not removed hair in the UK in the past 12 months. Some 82% of women remove hair from their legs, while a further 78% remove hair from their underarms and 57% from their pubic region. And it doesn’t stop there, the quest for a hair free body sees a further 15% removing hair from their arms, 7% from the feet, 4% from the chest, 3% from their bottom and 2% from their back. “The shaving and hair removal market is benefiting from the social norm for body hair to be removed. However, a number of charitable and other initiatives such as ‘Armpits 4 August’ and ‘Hairy Legs Club’ have seen a trend towards un-groomed body hair and a more natural look embraced.” adds Charlotte. When it comes to removing hair, some eight in ten (80%) Brits remove hair by wet shaving, the next most popular method of hair removal is plucking at 51%. Some 40% have used dry shaving while 45% have opted for manual trimming (eg with scissors). Just 3% of Brits who have removed hair have used laser hair removal at home, the same number have visited the salon for laser hair removal. One in ten (10%) Brits (who use shaving preparations) admit to sharing shaving preparation products with their partner, rising to 15% of women. And finally, in search of the hairiest region – those living in Wales (27%) are most likely to say they have not removed hair from their body in the last 12 months, by contrast, just 14% of consumers in the North West say they have not removed hair in the last 12 months.